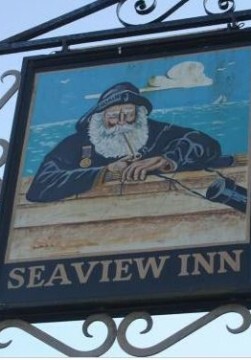 Welcome to the Seaview Inn, a beautifully traditional pub in Falmouth. 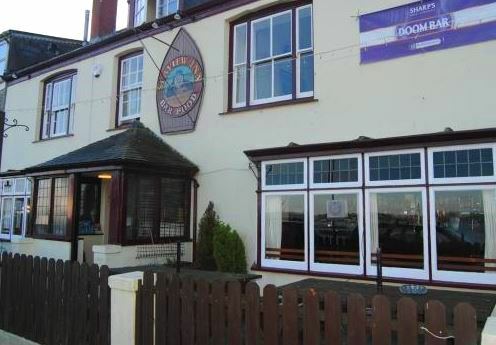 The Seaview is a country style Inn situated on Wodehouse Terrace with the most spectacular panoramic view of the busy inner marinas, harbour and estuary of Falmouth. For those looking to stay a little longer we also have three luxury en suite rooms upstairs. The Inn dates back to the 1800s, when it is believed the building was constructed in the middle of green fields as a manor house for a wealthy ship owner. It is believed to have been called Zion Manor and the cottages behind the pub still bear this name. In the Victorian building Beers and Lagers: Local and European. A wide range of ales, beers, lagers and stout from around the globe. We now do food on Weds to Saturday 12-2pm and 5pm-9pm. Also a carvery on Sunday from 12-3pm and evening food on Sunday 5.30pm to 8.30pm. No food on Monday or Tuesday. Wines: Reds, whites and rose wines from various vineyards around the world.